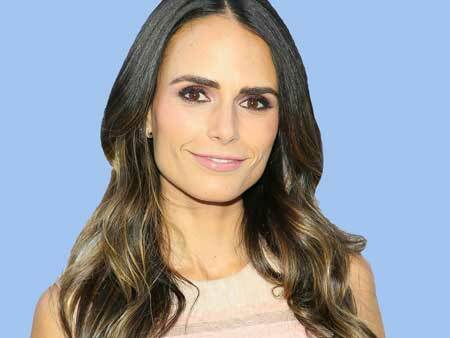 Home Article Fast And Furious Actress Jordana Brewster Married to Producer Husband Andrew Form Since 2007; Parent Of Two Children; How It All Began For The Power Couple? Fast And Furious Actress Jordana Brewster Married to Producer Husband Andrew Form Since 2007; Parent Of Two Children; How It All Began For The Power Couple? American Actress, Jordana Brewster is best known for her movies, The Fast and the Furious and Lethal Weapon. Voted as one of the sexiest women on earth, Jordana is one of the most loved actresses around the globe. She has been seen with several stars back in days but who did she chose to be her lifelong partner? Looks like producer Andrew Form won the heart of the famous actress and they are together for a long time now. Let's take a close look at her marital life and past affairs. The actress, best known for her role in the movie Lethal Weapon among others, Jordana Brewster has been in the field of acting for a long period and is often regarded as one of the versatile actresses of the current generation. Talking about her love life, she is married to producer Andrew Form whom she met on the set of the movie, The Texas Chainsaw Massacre: The Beginning on which Andrew served as producer in which she portrayed the character of Chrissie. The pair got engaged on 4 November 2006 where Andrew gave her a 3.2-carat emerald-cut diamond and platinum ring and tied the knot on May 6, 2007, in a private ceremony in the Bahamas. "We started dating in secret – you know, hanging out in my trailer – because it would have been unprofessional otherwise"
Andrew is best known for producing the movies like Teenage Mutant Ninja Turtles, Friday 13th, The Purge among several others. The couple shares two children, both sons: Julian Form who was born on September 10, 2013, and Rowan Form, born on 9th June 2016. Both their sons were born via surrogacy. The couple celebrated 10 years of marriage in 2017 by keeping the romance alive with a lovely date night at Craig's Restaurant in Los Angeles. They were also spotted kissing at the New York City premiere of Andrew's new horror film, A Quiet Place starring John Krasinski and Emily Blunt. Well, she had some affairs back in days as well. 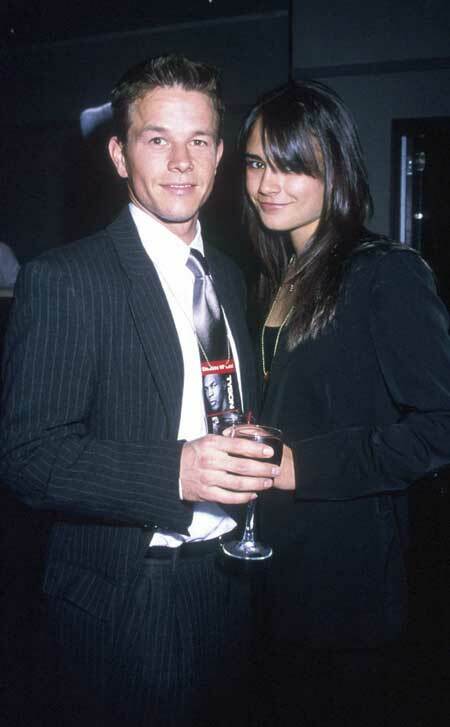 She dated Mark Wahlberg from 2000 to 2002. The former couple was a little low-key in term of dating but things did not work out pretty well and they had to break up. There were also rumors about Jordana dating Jimmy Fallon, who is a comedian and an actor, for a short period of time after breaking up with Mark. It was also heard that she was romantically linked with American baseball player Derek Jeter for some months but they did not get along and broke-up rather soon. Well, for now, Jordana and Andrew are having a great time in their lives along with their children. The family of four often goes out and enjoys as much family time as they can. The couple currently resides in Los Angeles. Jordana made her first debut in the soap opera, All My Children. She then played on As the World Turns as Nikki Munson. She appeared in 104 episodes of the soap operas from 1995 to 2001 and made her first film debut in the movie The Faculty in 1998 alongside Elijah Wood, Josh Hartnett, and Clea DuVall. She had her big break when she appeared in the movie, The Fast and the Furious as Mia Toretto alongside Vin Diesel and Paul Walker. She took a break from acting after the release of the movie and completed her B.A and again returned to the screen in 2003. She also appeared in the drama Annapolis alongside James Franco and Tyrese Gibson in 2006. She screened in her husband's movie The Texas Chainsaw Massacre: The Beginning alongside Diora Baird, Taylor Handley, and Matt Bomer for which Jordana was nominated for both Choice Movie Actress: Horror-Thriller and Choice Movie: Scream at the 2007 Teen Choice Awards. The 38-year-old actress has since appeared in several movies including Dallas, American Heist, Home Sweet Hell and The Fast and the Furious franchise. She was born on April 26, 1980 (age: 38). She was born in Panama City, Panama. She attended Yale University and graduated with a B.A degree in English. Her grandfather was president of Yale University where she graduated from. She went to same Catholic school as Lady Gaga. Late Paul Walker once said he has a crush on her. Her mother's name is Maria Joao and father's name is Alden Brewster. She has a sister named Isabelle Brewster. She stands at the height of 5 ft 7 inches and weighs about 56kgs. Her net worth is estimated to be $12 million according to Celebrity Net Worth.